What are we to do with our own personal ‘cry of pain’ and that we encounter in others? Can we help transform it into a ‘cry for justice’, finding spiritual courage to question the structures of oppression, seek liberation, and nurture networks of solidarity? Tears are good, prayers are better, but best of all is the ballot box. God and one woman make a majority. A minor saint in the Anglican Church calendar today, she was partly propelled into social activism after the tragic death of her six year old daughter Eva and the immense broader pain she found in subsequent ministry with the poor and outcast. Significantly, she was also a product of born a great northern reforming culture. Born to radical north-east parents in Milfield in Northumberland, her father John was a cousin of Charles, Earl Grey, a principal architect of the Great Reform Act of 1832, and himself prominent in anti-slavery and Catholic Emancipation work. Similarly, Josephine’s work went far beyond care for the welfare of others to transforming the very perspectives and structures which gave rise to oppression. Most notably, although groups such as the temperance movement had already begun to organise evangelical women on public issues, it was Josephine who first linked moral concern with feminist arguments about the position of women and men in society. Convinced that female prostitutes were victims, both of women’s economic position, and of contemporary sexual attitudes, she thus helped launch a long but eventually successful campaign against the ‘double standard’ of Victorian sexual morality, especially against the Contagious Diseases Acts which victimised women for the ostensible ‘protection’ of military servicemen. To do so in that era required tremendous courage, a remarkable willingness to embrace stigma and considerable cost to herself and to those who supported her, not least her clergyman husband George. 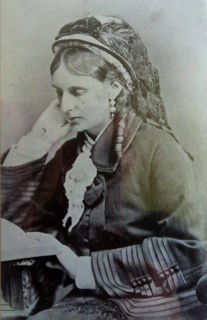 It was Josephine Butler, surely, who first said of womanhood that it was solidaire. She is the patron saint of all international movements, for she taught the unforgettable lesson that all the wrongs of every woman are the wrongs of all women, and no woman can be outraged or oppressed but womanhood itself is the sufferer. in our own longings for wholeness, healing and hope. and Christ-like companions of the poor. In the liberating power of your Love, Amen. This entry was posted in Uncategorized and tagged christian feminism, Contagious Diseases Acts, double standard, Galatians 3:28, Josephine Butler, justice, solidarity. Bookmark the permalink. I wonder why there was such an emphasis on the ballot box when we know that the most liberating thing for women is education and economic independence? In the struggling emergent nations of the world they too focus on securing ‘democracy’ only to find that it is a blunt tool for liberation and freedom. It seems more important to securing equity and justice for all if women can be educated and thence find some measure of economic independence. If women have these things then so too do their children and hence the next generation is off to a better start. Yes, and no! How do you get education and economic independence? As so many women found, after years of all kinds of education, welfare and missionary effort, the structures of society had to be shifted to make a real difference. What was the point of ‘ambulance work’ if men in power made all the decisions unable to grasp properly the experiences of women? An analogy might be the Roman Catholic Church even today – whilst it lacks female leadership at the highest level, it remains unable properly to reflect the needs and hopes of women and the spirit of God in them. Similarly countries (such as Yemen) without elected women in high places are denying themselves ways forward. Is Australia better for fewer women in the current federal Cabinet? Some women (including many militants) became bedazzled by the vote but most knew it was a case of both/and rather than either/or. Many of them had worked for years on other issues, and continued to do so. The vote is vital though =- partly as a genuine symbol, partly as a tool (which needs combining with other things).